[G] Sweet Nectar: Flip a coin. If heads, remove all damage counters from 1 of your Pokemon. [G][G][C] Flower Dance: 30x damage. 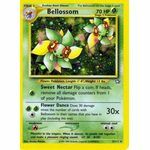 Does 30 damage times the number of cards with Bellossom in their name that you have in play (including this one). 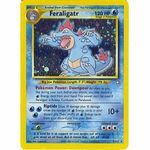 Pokemon Power: Berserk: When you play Feraligatr from your hand, flip a coin. 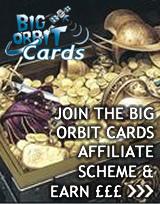 If heads, discard the top 5 cards of your opponent's deck. 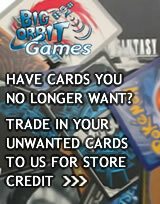 If tails, discard the top 5 cards from your deck. [W][W][W][W] Chomp: 50+ damage. 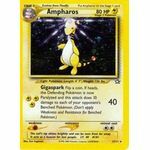 Flip a number of coins equal to the number of damage counters on Feraligatr. This attack does 50 damage plus 10 more damage for each heads. 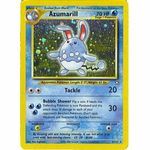 Pokemon Power: Downpour: As often as you like during your turn (before your attack), you may discard a [W] Energy card from your hand. 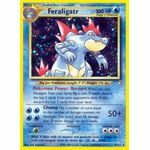 This power can't be used if Feraligatr is Asleep, Confused, or Paralyzed. [W][W][W] Riptide: 10+ damage. Does 10 damage plus 10 damage times the number of [W] Energy cards in your discard pile. Then, shuffle all [W] Energy cards from your discard pile into your deck. 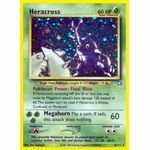 Pokemon Power: Final Blow: If Heracross's remaining HP are 20 of less, you may make its Megahorn attack's base damage 120 instead of 60. This power can't be used if Heracross is Asleep, Confused, or Paralyzed. [G][G][G] Megahorn: 60 damage. Flip a coin. If tails, this attack does nothing.